The Board of Supervisors first budget public hearings are today. 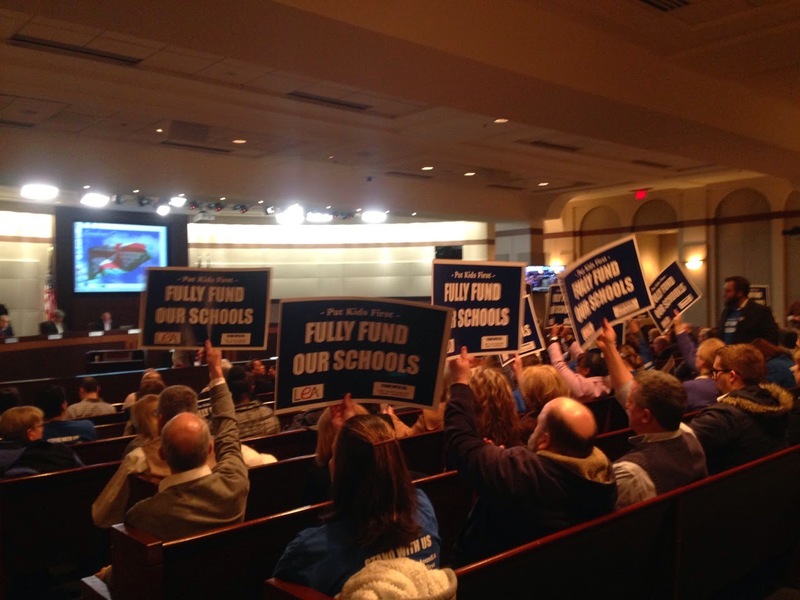 The County's proposed budget would cut $25 million from the School Board's adopted budget. Last year, the Board of Supervisors heard from us and didn't listen. Will it be any different this year? It won't be if we don't try of course. But the landscape is different. Of the nine supervisors, four are not running for reelection. Those four include: Ken Reid, who supported our schools during last year's budget cycle; Janet Clarke, who last year and this year has spoken sympathetically to our cause; Scott York, who in previous terms was more receptive; and Shawn Williams, who proposed starting the County budget this year at the current tax rate of $1.155. We only need 5 votes to narrow the $25 million gap. Be there today at 3pm or 6pm at the Government Center in Leesburg. 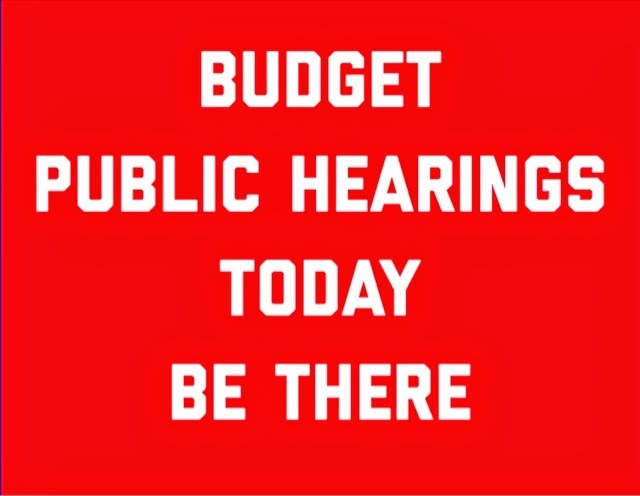 Be at the last budget public hearing on Saturday at 9am at the School Administration building in Ashburn. Bring a friend with you. Call (703) 777-0204 to sign up to speak or sign up when you get there. It's time once again to stand up to support our schools. The County Administrator presented his budget with a projected $25 million shortfall for the schools. 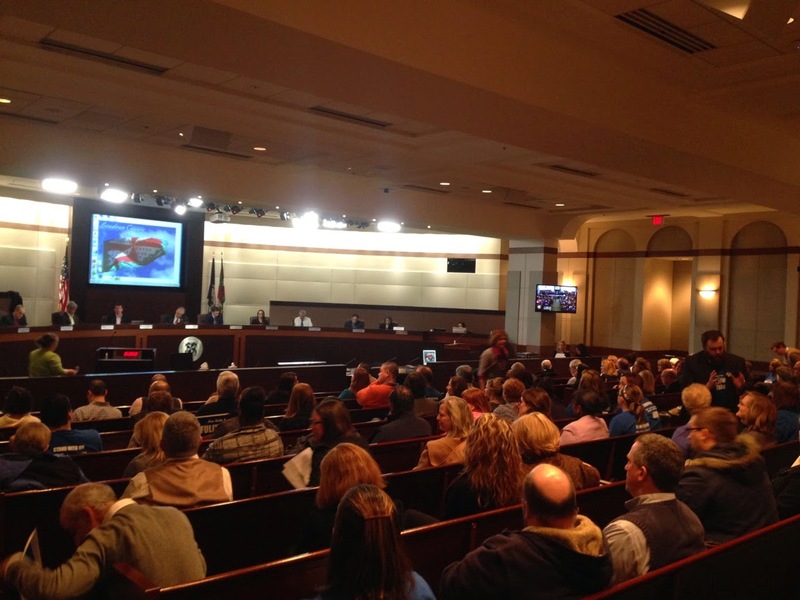 The School Board will be presenting its adopted operating budget and capital improvement plan to the Board of Supervisors this Thursday, February 12 at 6pm at the County Government Center in Leesburg. The Board of Supervisors has scheduled public hearings on the budget for February 25, 26 (if needed due to overflow on the 25th), and 28th. The BOS plans to finalize the budget on April 1. So, from now until then, we need to let the Board of Supervisors know why we support the School Board's adopted budget. If it's not fully funded, any of the new expenses could be cut. You can speak at a public hearing, write an email to your Board members, call your Board members, write them on Facebook, tweet, and so on. In preparation for that, let's look into just what's in this budget and what might be something you and your neighbors in particular support. Special education students have special needs when leaving the school system. This adds a specialist to concentrate on this area, easing the burden on special education teachers and parents. 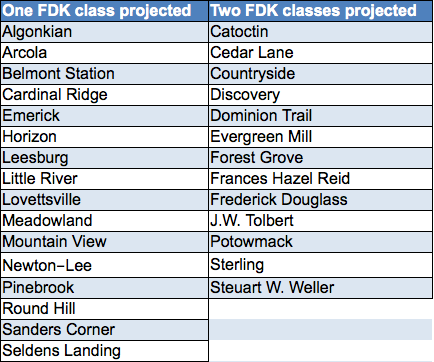 Loudoun's ELL program lags behind other neighboring counties. This brings them more in line, while still being less staffed. 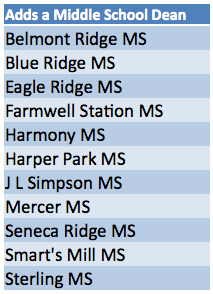 Four elementary schools do not have playgrounds. The new ones will be funded through leftover bond money from their construction, but Meadowland is an old school that never raised enough funds to build a playground. This will come out of the operating budget. All future elementary schools will now include playgrounds. As we look over the schools budget, it's important to share the information most relevant to us with our neighbors as well as our Board of Supervisors. Let's see if we can't force that overflow public hearing on February 26th. The County Administrator has proposed a tax rate of $1.13 (half a cent less than the equalized rate). He advertised a rate of $1.165, which would fully cover the School Board proposed budget along with his proposed county budget. So how much money are we talking about? This chart is filled in with an example. Customize it using your assessment values to see how it would change your taxes.